Do you have a collection of flips flops you need to organize? 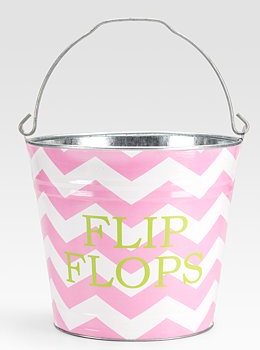 One way to do it would be a pail - and Jayes has some pails designed specifically for this. And another maker of buckets is The Macbeth Collection - which Saks is now selling. But there are also ways to hang the flip flops. 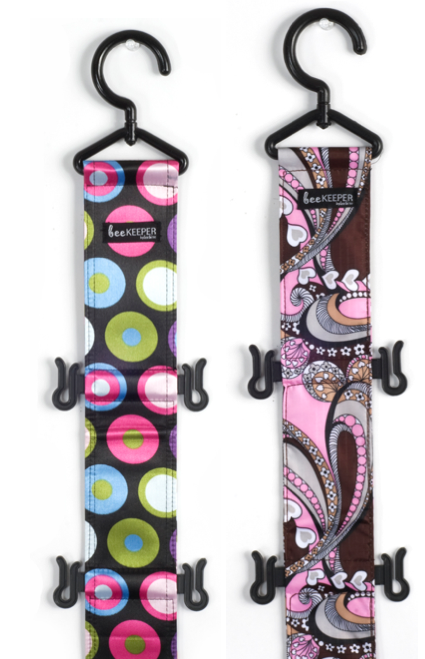 You can get flip flop holders from My Pair Tree, as I've mentioned before. Each ribbon can hold six pairs. 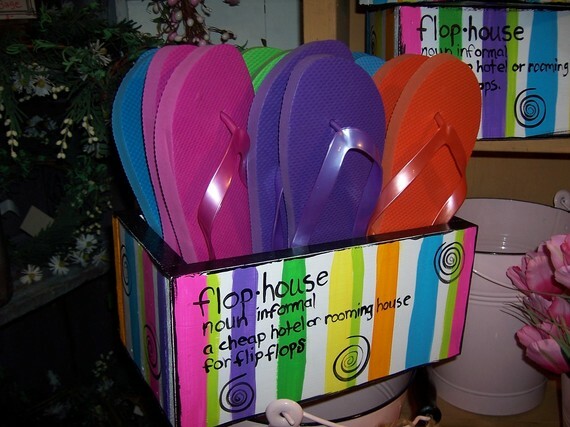 Beehive has a similar product, which holds seven pairs of flip flops. Jokari makes a sandal (or flip flop) rack that mounts on the back of a door, or on the wall. This one will hold 10 pairs. And Whitmor has the flip flop shoe file organizer - a vinyl product that lets you hang 18 pairs of flip flops in your closet. Finally, returning to the bucket type of storage, Friends Candle Shed over on Etsy sells a Flophouse for Flip Flops; it holds about six pairs. 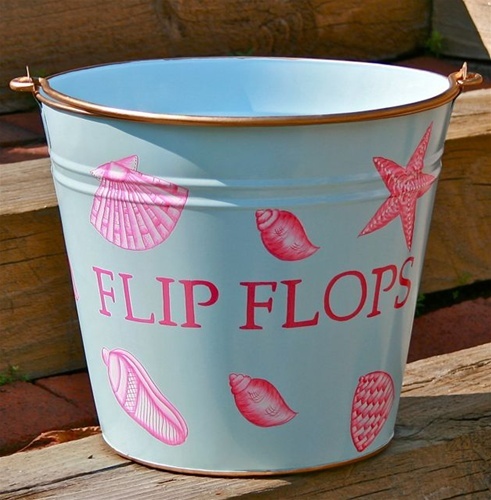 Or go find any basket, bucket or bin that you like, paint it if you wish, and make it your flip flop holder. 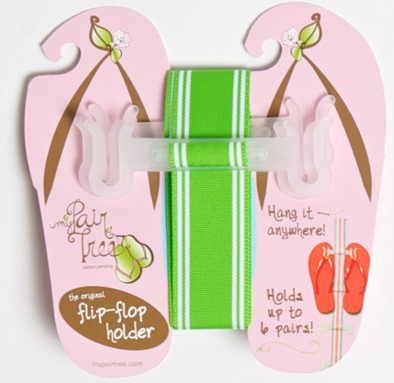 Update on May 23, 2011: You could also make your own flip flop hangers. Thanks to Mary Gaughan for the pointer. 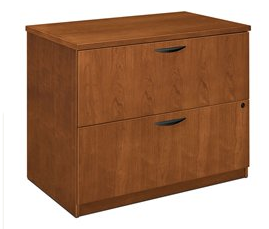 Any suggestions for nice-looking furniture file cabinets? Sure! 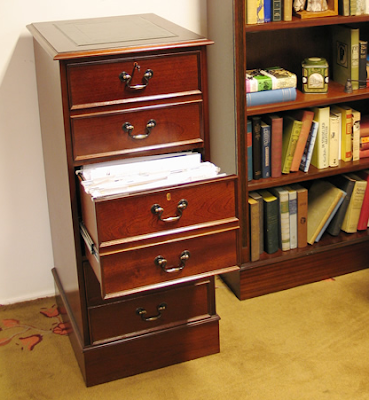 I wrote about stylish file cabinets a few years ago - and the ones I listed are still fine choices - but it's time for an update. 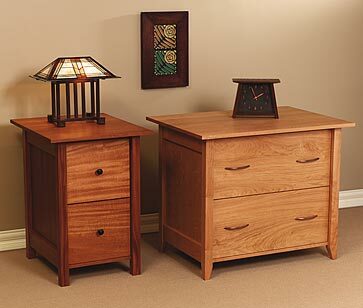 Let's split the choices between those provided by woodworkers, and those provided by office furniture companies. Note that most of these companies make both lateral and vertical file cabinets, even if I just show one or the other. While I've mentioned McKinnon Furniture in this blog before, I never mentioned the company's file cabinets - which are shown above. 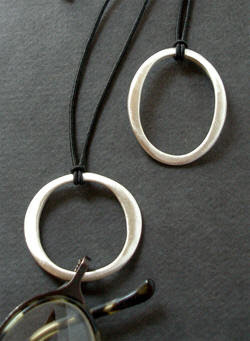 Each piece is signed by the craftsperson who made it. 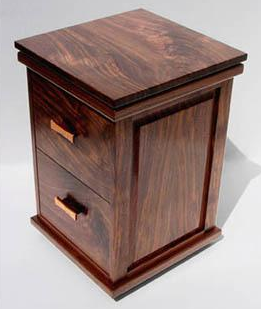 Here's a lateral file from The Joinery, which guarantees its products for life. The wood used is certified by the Forest Stewardship Council. McKinnon and The Joinery are located on the USA's West Coast - Seattle and Portland - but now let's move on to the East Coast and Vermont Wood Studios. 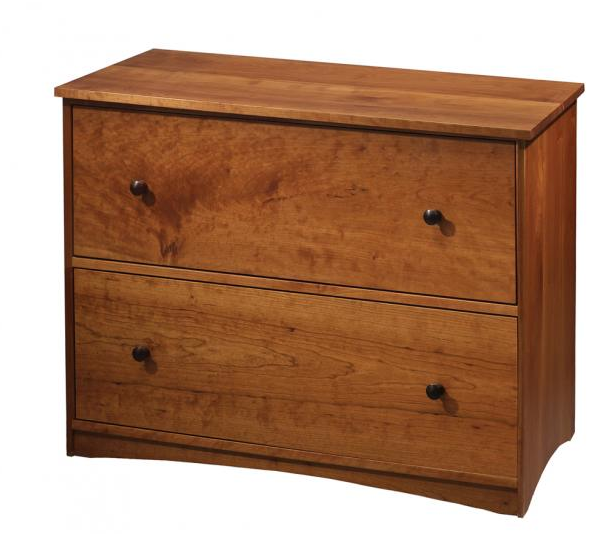 The company's tag line is "fine furniture from sustainable sources" - and the filing cabinets certainly do look beautiful. And this file cabinet was made from Oregon walnut by Thomas J. Russo of Woodstock, New York; I found it through the wonderful CustomMade web site. 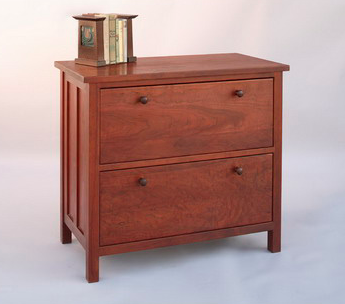 Hardwood Artisans, located in Virginia, has some lovely file cabinets, too. 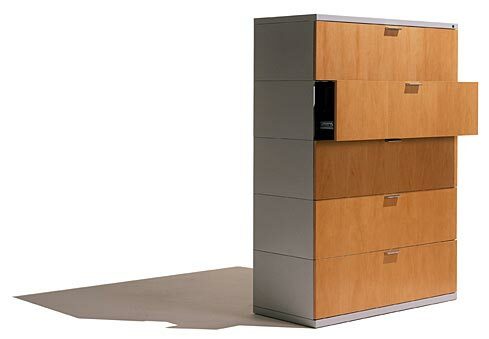 For example, here's a file cabinet from Herman Miller. HON also has some laminate file cabinets. And BDI is yet another company with wood laminate file cabinets. 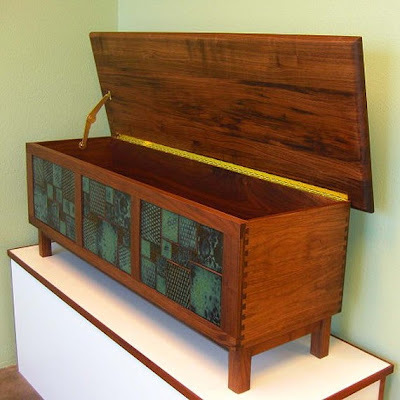 Finally, here's a very different (and stunning) piece - a filing cabinet bench. There are many reasons to have a collection of reusable tote bags. Maybe you buy a lot of groceries at once. I use a bunch of them in my organizing business, to haul away things (like books) that my clients no longer want and need, as I take them to new homes. And here's Rachel from San Diego, quoted from her e-mail to me (with her permission): "I am taking three classes right now, also in four book discussion groups, and also I am a knitter. 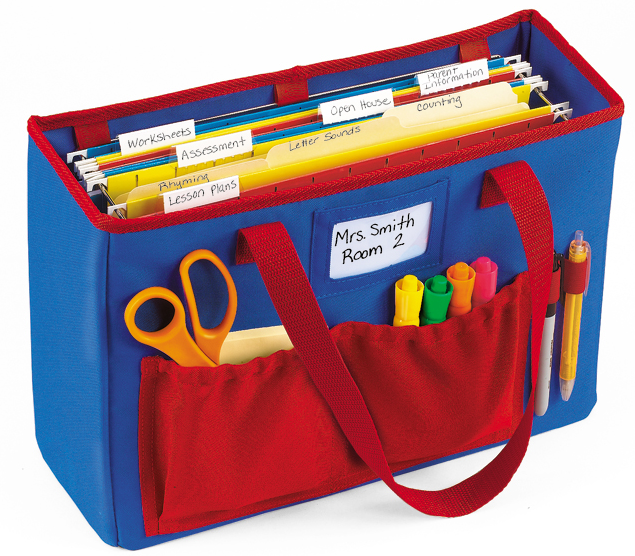 It just makes the best sense for me to have a separate bag for each of these activities (some of the class books are very heavy) which I can just grab when I go out the door." Organizer Allison Carter does something very similar. Update on Aug. 11, 2013: I can no longer find Allison's post about this. 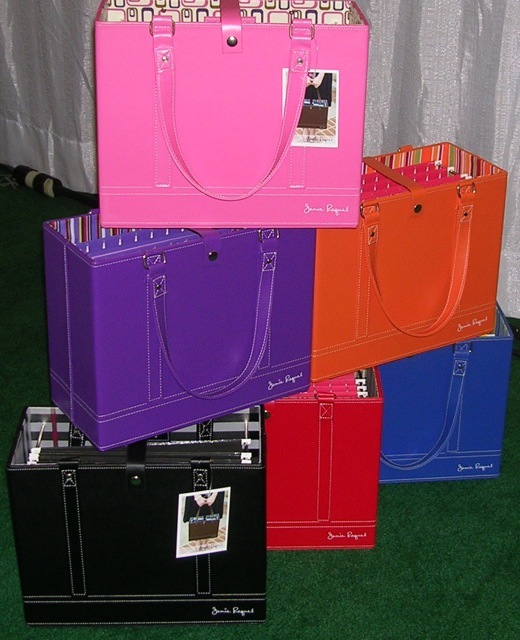 But do you keep buying more bags, because you forget to take yours with you? 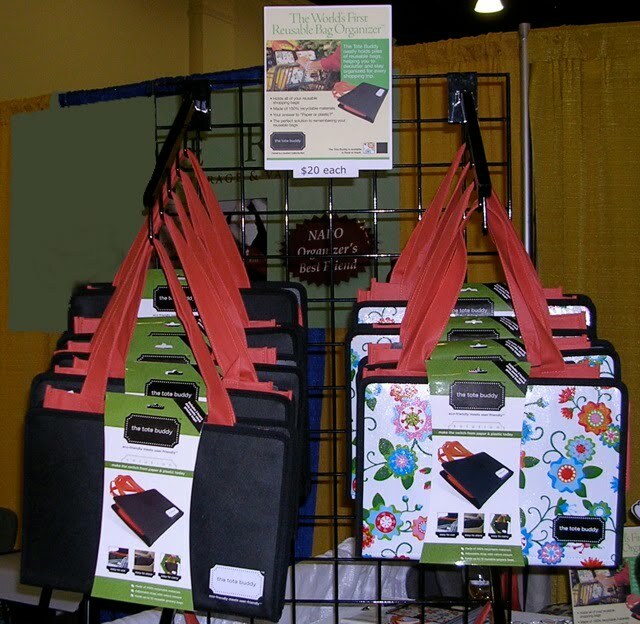 Or have you gotten more than you need because they were handed out as promotional items, as these bags have become increasingly popular give-aways? If you've got way more bags then you'll ever use, it may be time to donate or otherwise give away some of the excess bags. If you'd like a way to corral the bags, other than just stuffing then inside another bag - you could consider using the Tote Buddy, which "neatly holds piles of reusable bags." It's another one of those products I saw at the recent organizers' conference in San Diego - and while it's a bit too fussy for me, personally, it might be just right for someone else. Stephanie makes a great point. So what about getting alternatives that store much more easily? There are plenty of DIY options - Cool Mom Picks points you to one of them - but let me show you some that others have made. Let's start with the bag above, from Roxy Creations. This handbag / Easter basket comes from Sweet Pea and Co.
And then there are the fabric Easter baskets with more rigid handles, making storage a bit more challenging - but a fabric basket is still going to be much easier to store than a woven one. 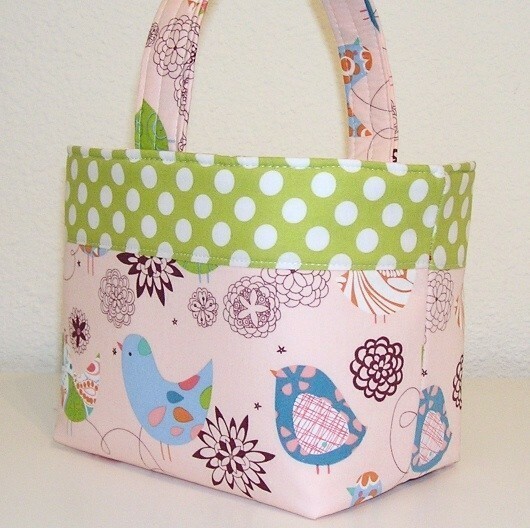 And you might like these baskets well enough to use them as decorative storage throughout the year. 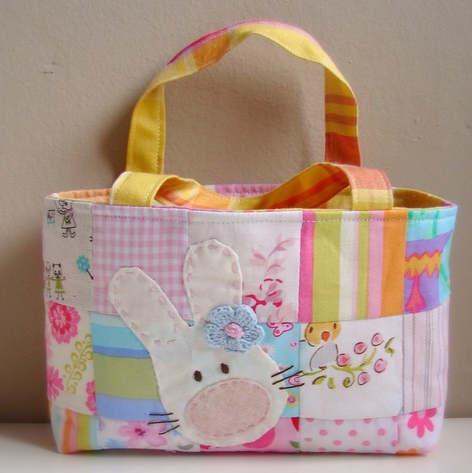 It would sort of be a shame to hide away this lovely fabric Easter basket from Regal Rhino Designs. 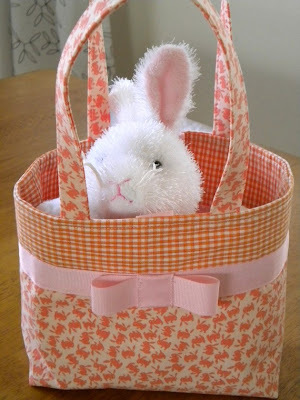 I'd say the same thing about this Easter basket from Treasured Totes - it's too cute to only use for one day! 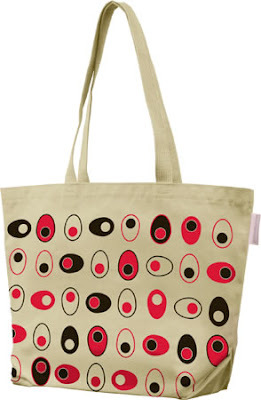 And for the easiest storage of all - and the most adult look - there's this canvas tote bag from Modernest, available in three sizes. I love books. 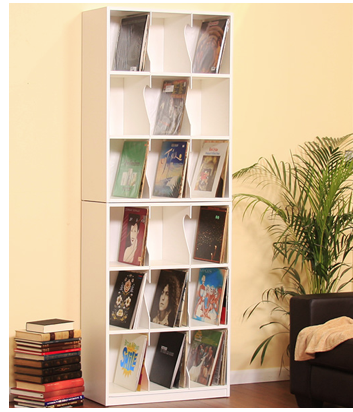 Most of my clients love books. 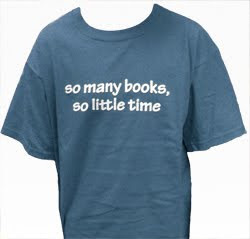 And none of us will ever have time to read all the books we'd like to read. Culling is the choosing you do for yourself. It's the sorting of what's worth your time and what's not worth your time. ... It's saying, "I read the last Jonathan Franzen book and fell asleep six times, so I'm not going to read this one." Surrender, on the other hand, is the realization that you do not have time for everything that would be worth the time you invested in it if you had the time, and that this fact doesn't have to threaten your sense that you are well-read. Surrender is the moment when you say, "I bet every single one of those 1,000 books I'm supposed to read before I die is very, very good, but I cannot read them all, and they will have to go on the list of things I didn't get to." I feel like I should read everything ever written by Charles Dickens, Mark Twain, D.H. Lawrence, Jane Austen, Victor Hugo … I feel like I should forgo all chocolate and alcohol in favour of vegetables, too. And floss more. Constant flossing. I should be flossing right now. Things rarely work out that exact way. I've long been a fan of what the Getting Things Done community calls the "ubiquitous capture tool" - whatever it is you carry with you, all the time, to capture those random ideas that pop into your head, or commitments you've made, or anything else you need to remember. This tool could be a voice recorder, an app on your smartphone - or some sort of paper note-taking device. For years I've been happily using Levenger's pocket briefcase, as I've noted before. 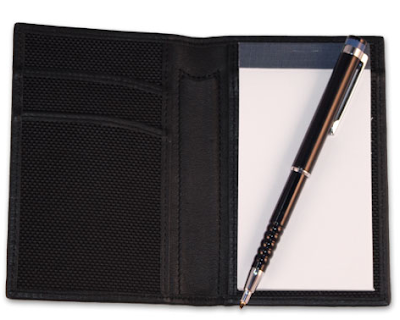 There are many different styles; some come with pens, and others (like mine) do not. But at the organizer's conference I just attended, I saw another interesting option - the NotableXchange from KC Streamline Concepts. 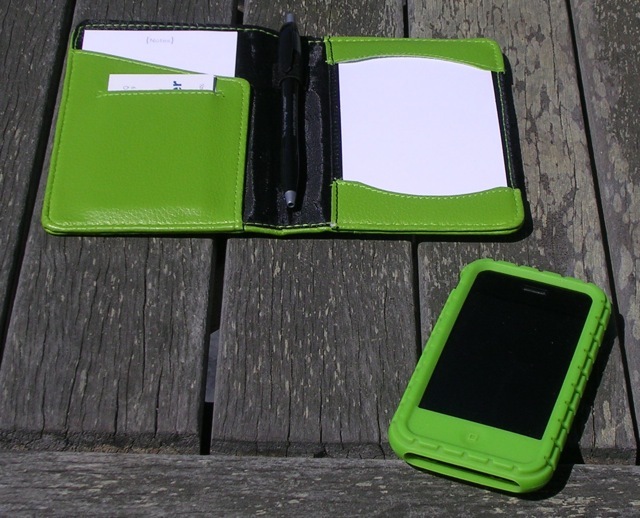 You can see I chose one that matches my iPhone case; the bright color makes it easy to find in my purse. It had a bad off-gassing odor when I first removed it from its packaging, but the odor went away within a day. Another similar option, available in leather or cloth, is the GTD NoteTaker Wallet from the David Allen Company. 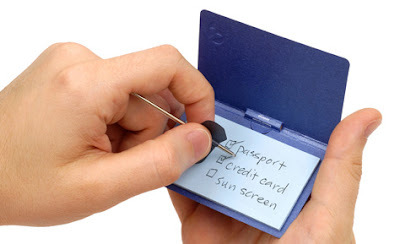 For an extremely small note-taking device, there's the PicoPad - available through Bas Bleu and other sources. And of course you could simply carry some sort of notebook, as Chris does; there are many great choices if you want to go that route. 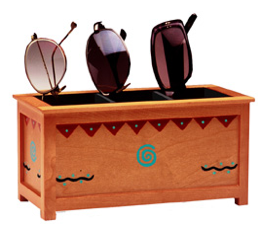 Want a place to stash your eyeglasses - someplace you know you'll be able to find them again? We'll talk about eyeglass stands and such in a moment - but if you'd like to keep your horizontal surfaces clean, you may be interested in the STOWnSee. 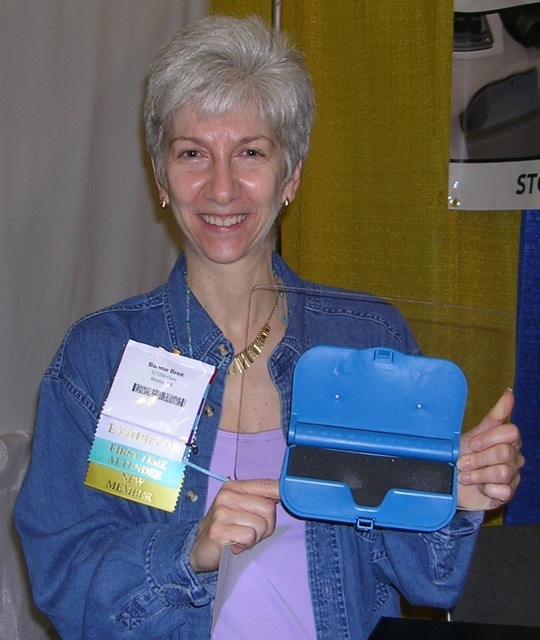 That's Bonnie Breit, who created the STOWnSee - "an eyeglass storage case that hangs underneath a cabinet or in another out-of-the-way location to protect those 'readers' while keeping them in a convenient location"; she's showing one off at the organizer's conference. I'm someone who takes off my glasses when I work at the computer - and I can see attaching one of these cases to the underside of my desk. And if you take your glasses on and off anywhere where they are likely to damaged, this might really come in handy. Full disclosure: Bonnie gave me a free STOWnSee at the conference - but I'd be writing about it even if she didn't. I plan to give the case away to a client. 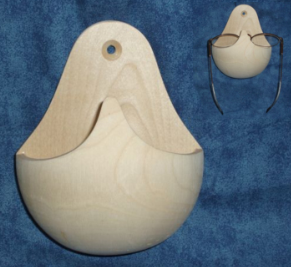 And if you'd like to use your wall space, there's this sauna eyeglass holder. [via Apartment Therapy] Update on Feb. 23, 2019: I'm no longer finding this product. 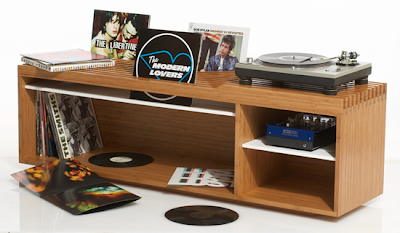 But if you don't mind using a horizontal surface, there are some fun products to consider. 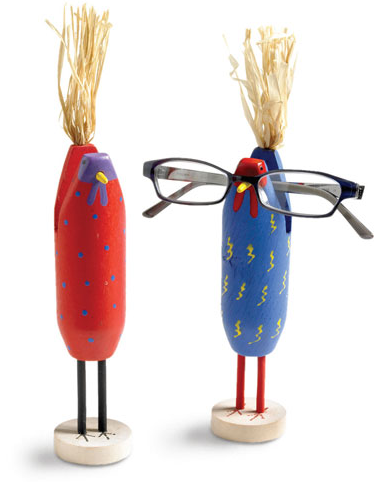 For example, here are the Opti-Chicks, sold by Bas Bleu. Update on Feb. 23, 2019: I'm no longer finding this product. 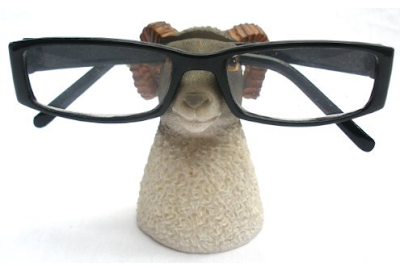 And here's one of a series of astrologically-themed eyeglass holders: Aries, the ram. Update on Feb. 23, 2019: I'm no longer finding this product. For more cuteness, take a look at these EyeBods from Streamline - also sold by Karma Kiss. 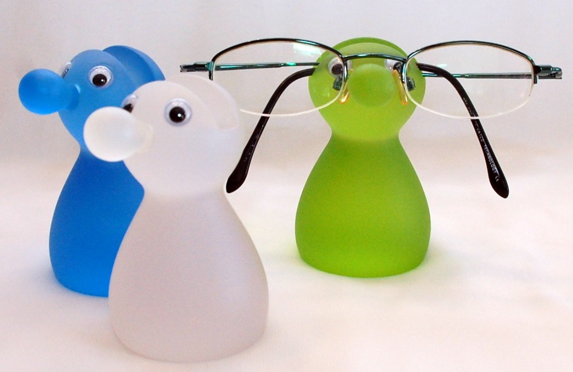 Here's a product called Goony, designed by Takafumi Nemoto and sold by Cubeshops. 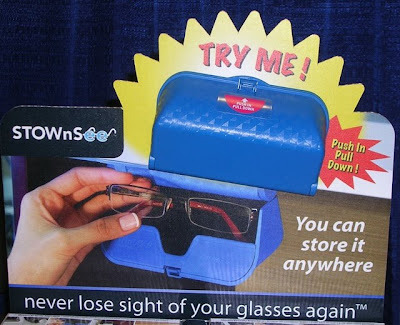 It's not specifically an eyeglass holder, but that's one of the many things it can be used for. For a different approach - forgoing cuteness - you could consider the OptaCaddy. 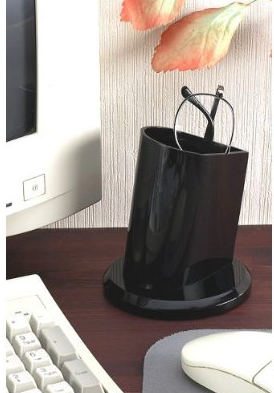 [photo from Amazon.com] Update on Feb. 23, 2019: I'm no longer finding this product. 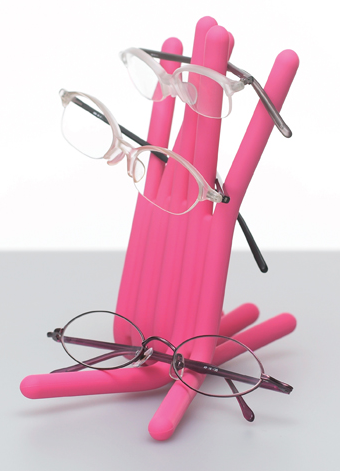 Finally, to hold multiple pairs of glasses, take a look at the eyeglass holders from The Jewelry Box Connection. Update on Feb. 16, 2015: The Jewelry Box Connection has disappeared. 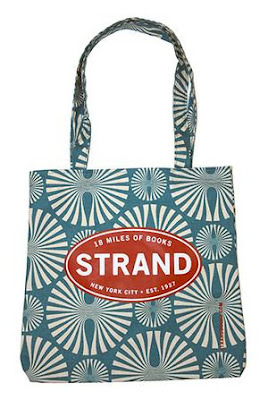 Looking for a stylish way to tote some files around with you? I'm just back from the professional organizers annual conference, and it was a pleasure to wander into the Expo Hall and see Diana Peck, the president of Jamie Raquel, showing off her company's file totes. 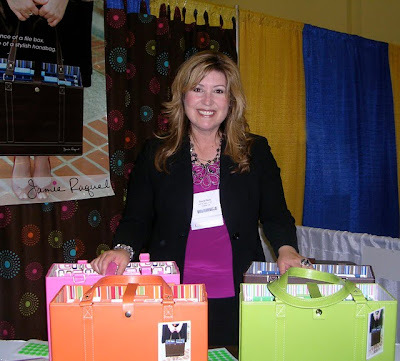 This was a familiar product - I first wrote about the totes in 2008, when the company sent me a free sample - but it was nice to meet Diana in person, and take another look at the totes. As you can see, they come in many colors. But there are other choices, too - all very different. This one is a leather expanding file from the Italian company Fiorentina - intended for regular file folders, not hanging files. It's sold on many web sites, at widely varying prices - and not all sites have all of the seven or so colors. 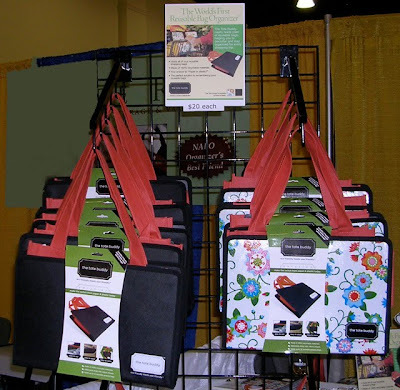 Some places to look include Jenni Bick, Inkworks, Poeme, Treasures Worldwide and The Daily Planner/Lincoln Stationers. It also appears that the tote sold by See Jane Work is the same product, even though it's not identified as Fiorentina. 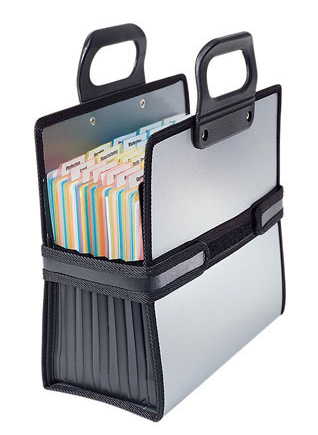 For something much less fashionable, there's the PortaFile Carrier from Ultimate Office. 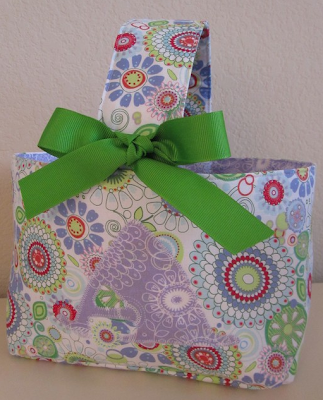 And here's another tote for hanging files - this one intended for teachers. It's sold by Lakeshore Learning. 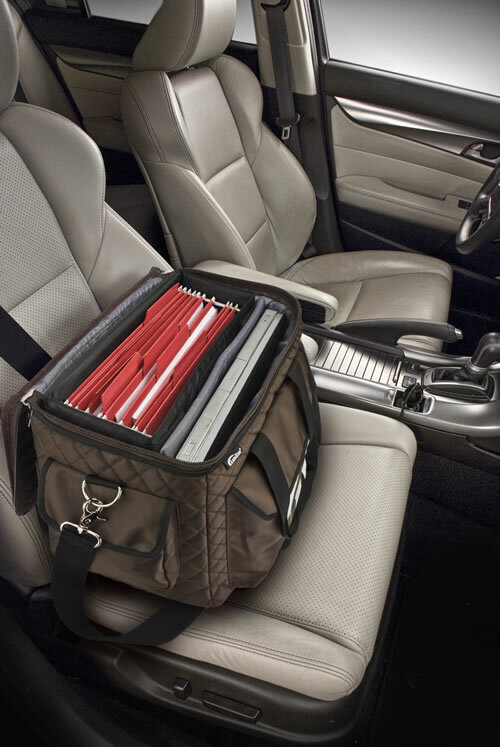 Finally, here's the AutoExec Business Tote - which accommodates both hanging files and a laptop. 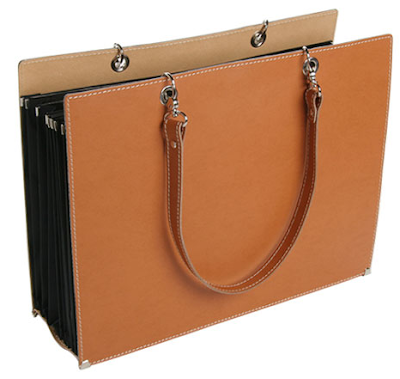 The hanging file case is removable, so you can carry it separately. Want to know what else I saw in the Expo Hall? I'll be writing about those products for the next week or so! Those who still own vinyl records are often passionate about their collections - and often looking for good storage options. I've addressed this before - see Related Posts at the end - but here are some more interesting products, in a range of prices. Update on Jan. 10, 2014: The Test Collective website has disappeared. 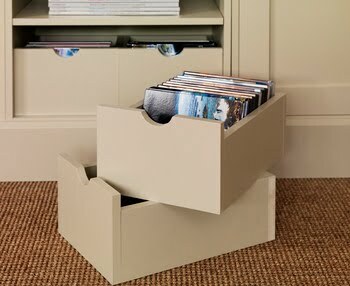 On the much less expensive side, The Dormy House has these media storage boxes. 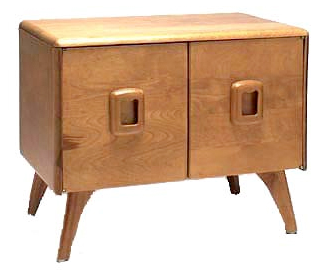 Here's an interesting record cabinet from Heywood-Wakefield. Have a large collection? Considering something custom-built? Scott Jordan Furniture of New York City designed this wall unit for storing LPs (and a turntable and other equipment). 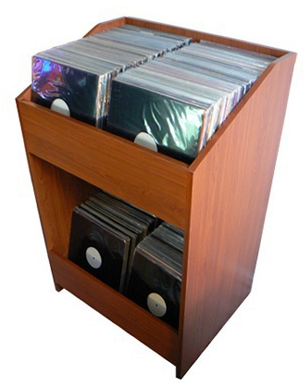 If you don't want to go custom, you could consider the LP record racks from Gothic Cabinet Craft, available in a number of sizes - with the LP record tower above being the largest. 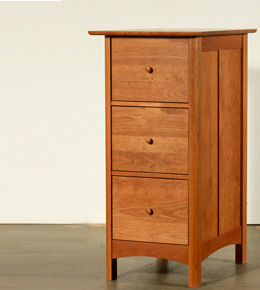 You can get these unfinished, or in your choice of 20 finishes: cherry, maple, teak, white, ebony, turquoise, etc. 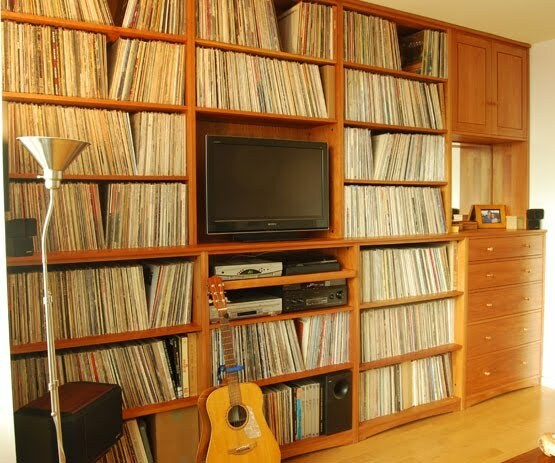 The company says that each row holds 150+ LPs. And finally, there's the LPBIN; each one stores 560 LPs.